I grew up in a home full of delicious home-cooked food, whole wheat bread, a berry patch so big we could never pick all the berries, and a vegetable garden to match. We raised cows once, rabbits always, and homemade yogurt wasn’t unheard of. I’m forever thankful for the lessons in healthy homemaking I gleaned from my Mother. But there were things I didn’t know. I didn’t know that Garlic was a natural antibiotic. I thought “antibiotics” could only be purchased at the pharmacy. I didn’t know there were herbal remedies for my depression. I didn’t know a fever was a good thing. I didn’t know doctors didn’t have all the answers for health issues and I believed them without a doubt. Now, granted, back then the internet was not worth exploring or using as a tool for serious research, so how would you know the things we know now! Oh how the tables have turned! We have so much knowledge right at our fingertips. For the careful researcher, the internet is an invaluable tool. And I have used it! A lot! I have learned a TON. When I was in college I began to get a sour taste in my mouth about hospitals, doctors, the trend to over-medicate. It was just a thought… but it was the beginning of the journey. While my husband and I were engaged I began to suffer severely from chronic back pain. I was in the best physical condition of my life; strong, fit, 135 pounds. Why was I having this pain. The doctors prescribed medications for the pain but I couldn’t kick the thought that maybe I shouldn’t just be masking the pain with drugs. Maybe there was something wrong that could be fixed. Someone told me about a chiropractor… my first thought was negative because alternative medicine was still foreign to me. But, I gave it a try… the chiropractor was confident that he could fix me… that he could fix the three spots in my back that were quite out of line… this even I could deduce from the x-ray. $800 later… I was no longer in pain, I had a new respect for chiropractic, and I was introduced to the world of alternative medicine. However, when we got married we moved to another state, so I lost my miracle chiropractor. When my husband & I found out we were pregnant with our first child we went to a local CPC because we didn’t have insurance. We thought they could point us to a good doctor since we were new to the area & had no idea what doctor to choose. They pointed us to a local midwifery clinic. At this point, I didn’t know the difference between natural & unnatural… I hadn’t given a thought to the differences in skin care products, what produce to buy, what medications to avoid, that midwives even existed. But, in the interest of being cheap frugal, we chose the midwife over the hospital because she cost less! Our first appointment was just to explore our options. 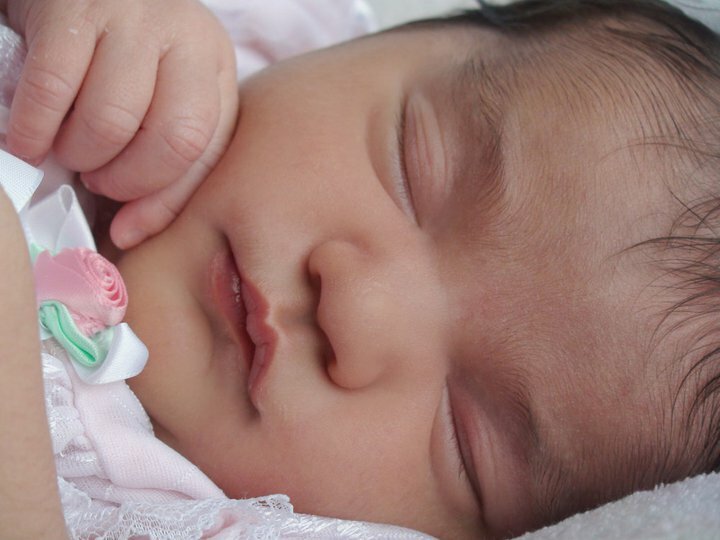 That was only one of two appointments… at week 9 I called the midwife because I was experiencing some bleeding and wanted to know if I should be concerned. She told me to come to the clinic & did an ultrasound. That night I miscarried. A “Blighted Ovum” pregnancy. I couldn’t have done anything to stop it. And I couldn’t do anything to stop the tears. Inga was a phone call away. I hadn’t even had my first appointment as a client. She never asked for anything… She just loved me. She made a lasting impression. When we got pregnant again a little less than a year later, I started seeing a doctor because we did have insurance this time. I really wanted to go back to my midwife, but again, in the interest of being frugal, we went with the doctor. At 9 weeks I again experienced spotting. The doctor, after much begging on my part, did an ultrasound. Baby had a heart that was beating! It was the most beautiful site I’d ever seen. 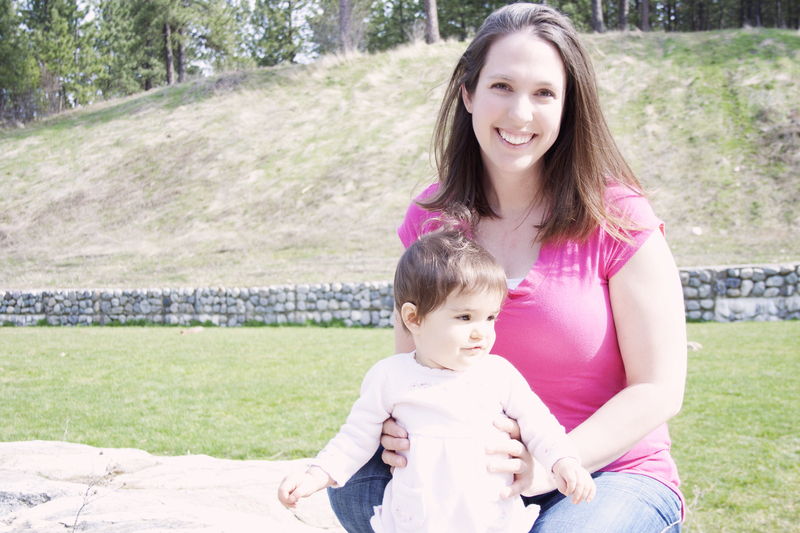 During the pregnancy I started experiencing a chronic cough. I asked the doctor about it and he prescribed a prescription cough syrup. I went to the pharmacy to fill the prescription and decided to mention that I was pregnant and ask if the medication was safe. The pharmacist looked up the medication & said it was a “C” class medication and that it was not recommended for pregnancy especially during the first trimester due to increased risk of miscarriage. Needless to say, I wasn’t happy. So I asked the doctor what else I could try. He prescribed something else… also unsafe for pregnancy. I decided to pursue a second opinion. So I went to a different office, saw a PA, who told me to try Prevacid… a prescription antacid. At this point I was quickly becoming leery of using prescriptions while pregnant. So, I started thinking! That was the first good decision I made! Antacid… tums is an antacid… hmmmm… yeah, it worked! No more coughing. Ok… so now I’m thinking again. Do I really want to keep seeing this doctor? Do I really want to trust this man with my baby’s life? With my life? Can I trust him? The answers to all these questions kept coming up “NO”. So, I called the midwife. The second good decision I made. First, I started thinking instead of just taking everyone at their word. Then I acted on what I thought was best. I LOVED every visit with my midwife! She was professional. She KNEW about pregnancy, birth, and babies. She understood it, and not just on a clinical level. I could sense that I was safe in her hands. My husband could to. He said that when we walked in there he KNEW that was where we were supposed to be. It just felt right. Our appointments were never rushed. I never felt like my questions were “stupid”. I felt like she had all the information I needed & if she didn’t she would get it. I felt, most importantly, like she cared about me & my baby. My midwife also introduced me to my chiropractor! 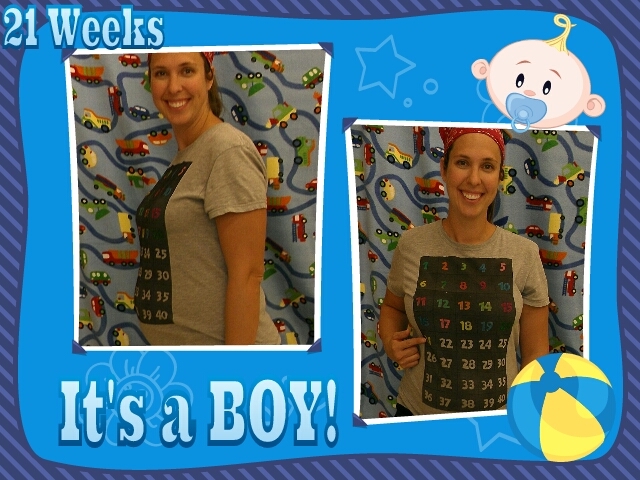 Phew… what a blessing he was to the third trimester! I became a believer in chiropractic even stronger than before. You can read our birth story here. 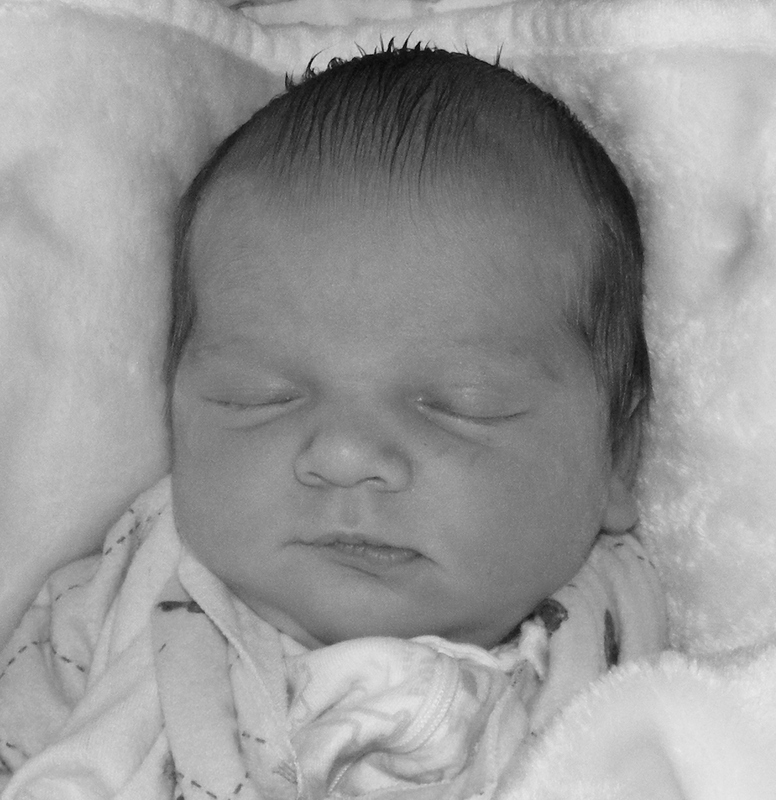 When I first met our Little Monkey, the gradually growing Granola in me hit a turning point. I mean, I was already on this journey, already sneaking peaks down a road I wasn’t familiar with but was beginning to understand was the better road, what could possibly have cemented the decision to run pell-mell down that road more than looking that little person right in the eyes knowing I wanted to take the best possible care of her?! Everything about it was foreign to me… except the miracle of drug-free doctor-free birth! That I knew… that I loved… that I knew was natural. And if that was natural… I wanted more natural! As much of it as I could get. When our Little Monkey had troubles nursing my Doula & Midwife suggested that we take her to the chiropractor! Now THAT was a foreign thought. But, I’d come to trust these people & after doing some research, we decided to take her in. It was only one gentle little adjustment and the nursing issues were a thing of the past. Now I realized that chiropractic wasn’t just for big people, it was for everyone! My eyes were being opened even more. The journey has been gradual, more and more Granola added along the way! Three years later and I’m still growing, still exploring. Still loving every new nut I add to our box of natural. The next nut we added was cloth diapers! Well, I suppose we added that while I was pregnant because that was just something I was always going to do because, in the interest of being frugal (! ), it just made sense! But then, I started sewing my own diapers from re-purposed receiving blankets & making my own laundry detergent as well because I didn’t want the chemicals near baby’s skin. That led into making my own deodorant & my husbands shaving cream because I didn’t want chemicals on our skin either… which of course introduced the wonders of coconut oil! Love that stuff. And eventually eliminating chemical cleaners from my home all together. 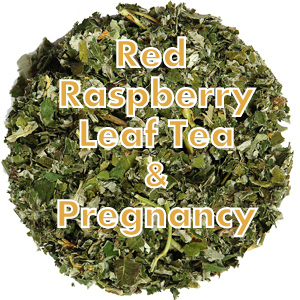 During the pregnancy I religiously brewed and drank Red Raspberry Leaf Tea – a QUART of it a day (so disgusting)… this was my introduction to the world of herbs… a fine introduction in that my fear of a 20+ hour labor like my mom’s was soundly defeated! A 4.5 hour labor was totally worth all the nastiness of that tea as was the new understanding that God made this green stuff that grows straight from the dirt that works better than that white stuff in bottles that who the heck knows where it comes from. I started growing curious about what other plants could be used with equally amazing results. I’m currently interested in exploring how to grow the plants necessary to make my own medicines. Of course, in the interest of being frugal, I have a itching desire to grow my own instead of buying ready made! After our second Monster was born I noticed I was having trouble with milk supply. He lost weight (about a pound) at around 5-6 months. I began exploring herbal supplements to encourage milk production. I took Brewer’s Yeast & Fenugreek religiously as well as pumped twice a day in addition to nursing him. I made it a couple more months. Then I put him on formula because I didn’t know what else to do. He was on formula for two months before I couldn’t take it anymore… I couldn’t bear mixing up that awful smelling powder that didn’t resemble food in the least & giving it to my teeny little baby. So, I started giving him goats milk and supplementing with Omegas & D3 vitamins. The next step was a big one for my Mr.! However, after suffering pretty bad PPD with our second, he was primed for my next step! Big pregnant with LaLa, we left the kids with some friends & went on a date. During dinner, not knowing how to broach the subject delicately (obviously, since I did it during dinner! ), I pulled out the pamphlet on Placenta Encapsulation. I had read through the birth packet from my midwife earlier that day & was intrigued by what the pamphlet said. It said that if you just ingested the placenta (after it had been put into little pills! ), you would have virtually NO PPD and it supposedly helped with milk supply issues among other things! Having struggled sooo much after the Monster was born, I was intrigued to be sure. My Man’s first reaction… “NO THE HECK WAY! You are NOT eating your placenta… Oh, why don’t we just cook it up like a steak and you can eat it with a fork. Better yet, just eat it raw!” Haha… I was ready & willing to submit but not until I let him in on a little more information. We read the pamphlet together & I told him about the talk I’d had with the lady who does it locally. I don’t quite remember how it went after that, but somehow he started thinking it was a good idea. And, in the interest of being frugal, we decided to do the thing ourselves. How much more Granola can you get! I had a friend & Doula in training coming over to film & photograph the birth. She helped with the cooking process shortly after LaLa was born. Then we, my hubby & I, encapsulated it together! Now isn’t that romantic! The “Placenta Thing”, as many dub it, was a life changer! Again reinforcing my bent toward all things natural. PPD was a thing of the past. I still struggled with milk supply & added Milk Thistle, Alfalfa, and Marshmallow Root (all galactalgogues) to my list of herbs to encourage milk production. I made it to 7 months. Next time I’m trying Blessed Thistle… I hear it’s a miracle herb! This time I avoided the commercial formula all-together. Thankfully I had a few friends who stepped up to help, offering bags of breast milk. This kept us going for another month, after which we had to switch again to the goats milk. Some time after LaLa was born, Monster started having this curious pain in the night and occasionally during the day. It started off very sporadic. Then became increasingly worse at night. He’d complain of pain in a particular spot in his foot or leg… he’d just scream, pointing, and saying boo-boo. It broke my heart to see him in agony like that. By this time my thinking was no longer first to the medical then to the natural… it was the other way round. So, I took him to the doctor just out of curiosity… the doctor said that kids that age don’t know where they hurt when they hurt and that we should just give him Tylenol when it bothered him. I went next door to our chiropractor straight away rolling my eyes at the thought that my Monster didn’t know where he was hurting! It was so obvious that he knew where he hurt! And it was obvious that he hurt bad. I put my little Monster (almost 2 at the time) on the table. Our Chiropractor felt his back & jaw & took some notes. Then grabbed his tiny little electronic hammer dealie and worked on my Monster’s back a little. He just lay there with this look in his eyes that said, “Mommy, I’m not sure what’s going on, but you said it would help my boo-boo and I’m going to try really hard to be a big strong man right now.” We took him home and experienced no pain episodes that night! The first in over a month. Being that it was now Friday, I decided it best to take him back in for another adjustment just to make sure everything was firmly in place for a pain free weekend. We went into the little room and wouldn’t you know it, my Little Monster scrambled right up onto that table and laid on his tummy and patiently waited for the Dr. to come in. Even at barely 2 years old he knew that chiropractic had made his boo-boo go away & he was ready for more! He wasn’t scared this time! To me, Granola means using herbs before OTC or prescription medication, seeing a chiropractor before a doctor, home birthing, home cooking, being as wise as possible with the money my husband earns, and being in a constant state of curiosity, willing to do anything it takes to learn how to take care of my family in the most natural way possible. I can’t say I know everything there is to know about being Granola, but I am confident saying that I am Granola because I am constantly searching for ways to approach life more naturally, more simply, more freely. I have truly enjoyed this journey and can’t wait for what’s around the next corner. What does it mean to you to be Granola & what has been your favorite part of your journey? Pregnancy Week 14 & Gardening! 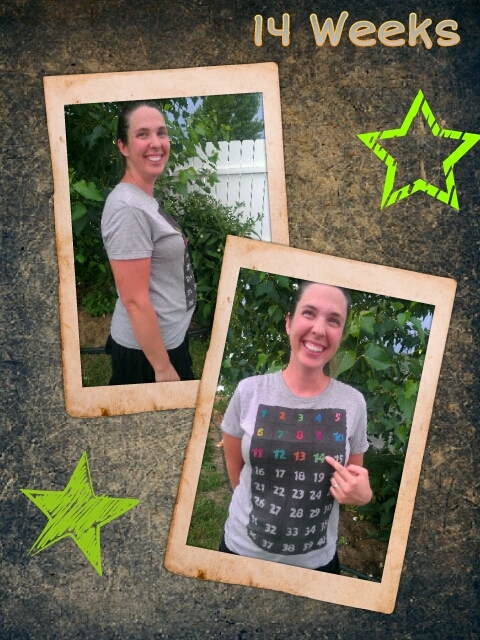 Well… I’ve made it into the second trimester and only lost a couple pounds! I’m feeling sooo much better lately, food is starting to regain it’s appeal and my appetite is horrendous! So, this post will be totally random… updates from the life & times of just another pregnant mom who hasn’t got much of a brain anyway. 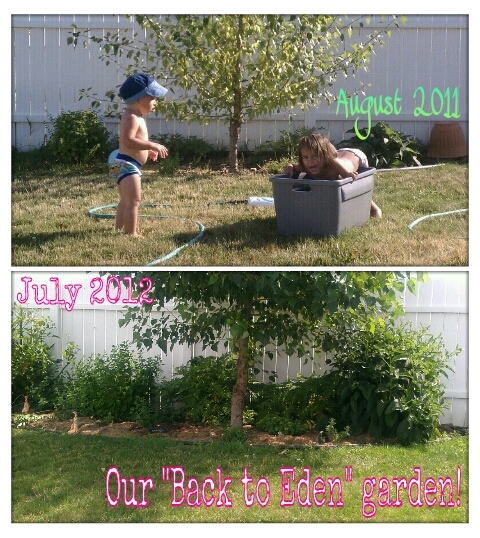 My husband & I watched the Back to Eden Film this last week and we are pumped up and totally excited to start a garden! We did a semi-BTE garden this last year and experienced such amazing results that we figured we needed to just go all out! We’ve already got our first load of wood chips to spread and will probably start working on that this evening. Here’s a picture of the difference we’ve experienced with traditional gardening vs. BTE gardening. Can you believe the difference! It’s so lush & green and the plants are HUGE!!! So… in approximately 8 more months we’re adding another Nut to our Granola! I’m going to attempt to document my granola-style pregnancy here perhaps once a month or so. Well see how that goes! Well… now we have a boy & a girl! This little Monster was born on Saturday, February 20 early in the morning. 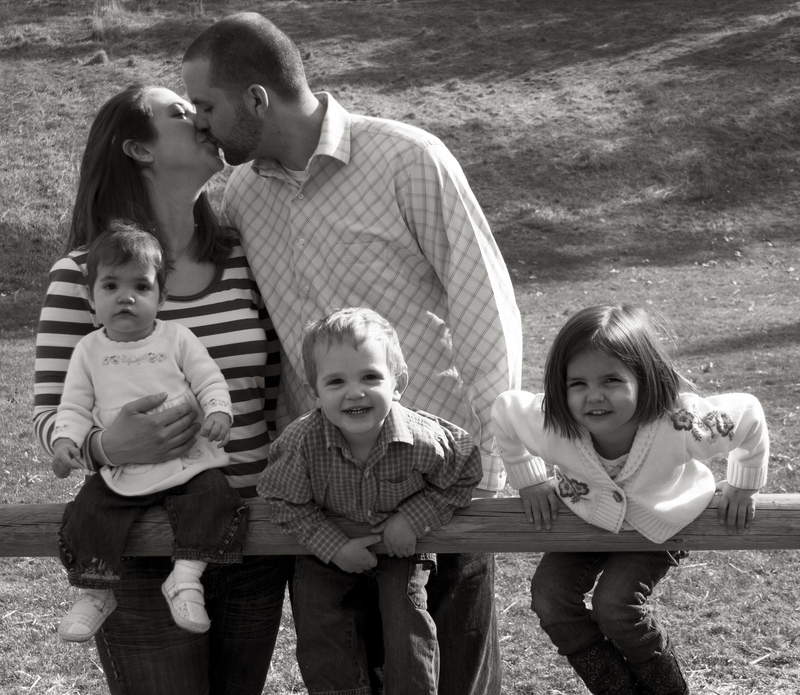 My pregnancy was so different than with our son… probably because he was a boy?! Anyway, I had A LOT of false labor this time (where I had NONE with Monkey). So I was constantly thinking, “This is it!” Monkey was born at 38 weeks… not Monster… he waited till 41 ½ weeks before making his appearance. Oi… it was so hard. Note to self: don’t expect the timing to be the same every time! On February 19th at 5pm I was having painful contractions but I didn’t bother timing them because they were far apart & irregular & not getting any more intense… and I’d had this before so I didn’t get overly excited this time. We were at church so I was just sitting there, so at 5:30 I did start timing. I only got one time written down before I got called out because Monkey had a fever, so I held her through the rest of the service. I don’t think I even had any more contractions anyway. At 9pm Jesse & I were in bed & the contractions were painful… for 1.5 hours they were 5 minutes apart & I thought they might be getting more intense so I decided to get up. At 10pm I got up & started using my yoga ball… leaning over it on my knees. Contractions continued to intensify. Jesse was still sleeping & I decided to let him sleep since if this was it, he was going to be one busy dad for the next week or so. At 10:30pm I was pretty sure it was labor so I started laying out all the birth supplies on the kitchen table. Got the coffee station & snacks set up for people who would be here. Contractions became even more intense & were 2 minutes apart. Got Jesse up… called the midwife (Carrie). Carrie & Becky would come in 30 minutes. At 11pm Carrie arrived. Contractions were too intense to talk through. I stayed on the ball until I got in the pool we set up in the living room. I was only feeling a slight urge to push. I drank some orange juice because I was feeling faint. At 1am I got in the pool… I was 9cm. The urge to push was getting stronger… and I was SCARED. I tore a little bit with Monkey and had to get a bunch of stitches. I was so nervous that it would happen again. Even though Carrie told me I could work with the urge to push, I still fought it. Somewhere in there I started feeling really nauseous & threw up that orange juice … from between contractions right through the next one. Ugh… that was awful. NOTE TO SELF: Don’t ever drink orange juice when in labor. During contractions & in between I was alert enough mentally this time to pray, read the titles of the worship songs playing on the TV, & concentrate on keeping my tones low or just blowing air. The contractions were further apart in the pool so I got more of a break between, but they were more intense. At 1:30am Carrie said that the bag of waters was bulging enough that if I gave one hard push & it would break & the Monster would come really soon. I pushed, beyond the contraction a little, until it broke. The little Monster’s head flew forward & I felt it crown. My back started to hurt soooo bad. Carrie told me to just float in the water, so I let my hips rise & just float. The next pushes… SERIOUS pain! Ring of fire seemed more intense than with Monkey. There was also an awful stinging pain inside that when Carrie poked her finger in to check, ended up being the little Monster’s hand & fingernails scraping me on the way out. When she touched his hand, he grabbed her finger! During the delivery of his head I clung to Jesse’s arms behind me struggling to keep my tones low. I think I pushed about five times to deliver his head & one arm. When his head came I was finally able to release Jesse’s arms because that awful stinging pain from his hand was over. Then between that last head push & the next contraction I touched the little Monster’s head & face & little hand. It was precious. I could tell he had hair just like Monkey did. The next contraction I was holding his head & neck with my hands & I pushed & pushed & pushed until he finally popped out & I brought him up out of the water onto my chest. THAT was incredible! I got to catch him myself! Shortly after the little Monster was born & we were out of the pool, Monkey (15 months old) woke up. Jesse brought her out to meet her little brother. She kept signing “Baby… baby… baby” and looking at him with the cutest little expressions on her face. By 4am we were all back in bed for the rest of the night. Carrie & Becky were gone & would return in the morning to check on us. I am so glad we chose to have our little Monster at home. It would have been free to have him at the hospital with Medicade, but then we would have been stuck in the hospital for however long & I wouldn’t have been able to catch him myself or birth in the water. I am sooo thankful we were at home. I was comfortable, it was peaceful, familiar & our Monkey could be there too to see her little brother when he was first born. I wouldn’t trade my homebirth for anything. We’ll do it again when #3 happens!! I also feel so strong & powerful after birthing naturally. 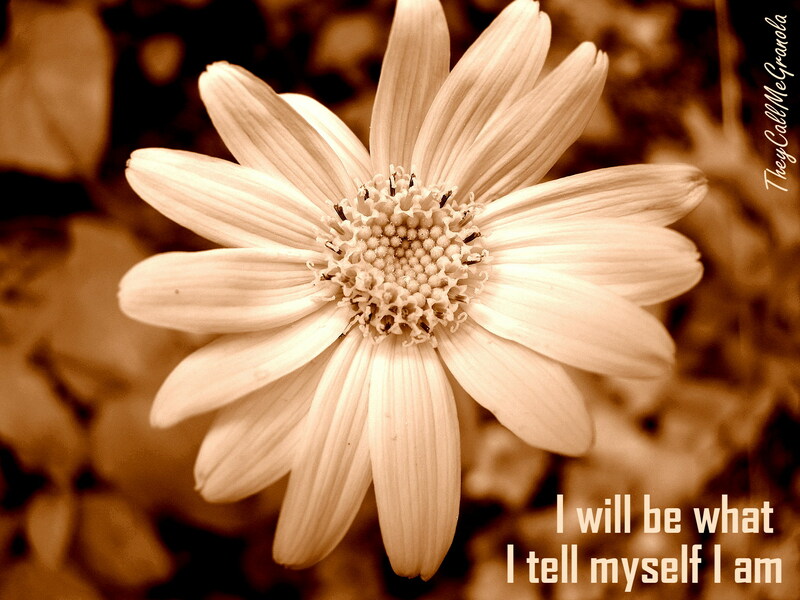 I feel like I am the strongest woman in the world… like I can do anything! It’s an amazing empowering feeling.